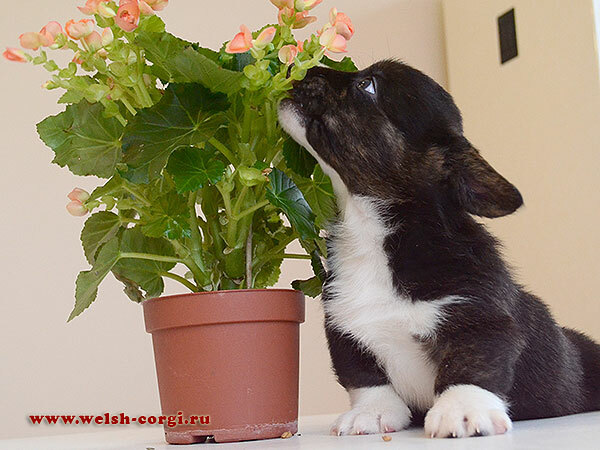 Beautiful girl Pavva is looking for the new home!Look for the pedigree and all pictures of the baby at the page of P Litter. 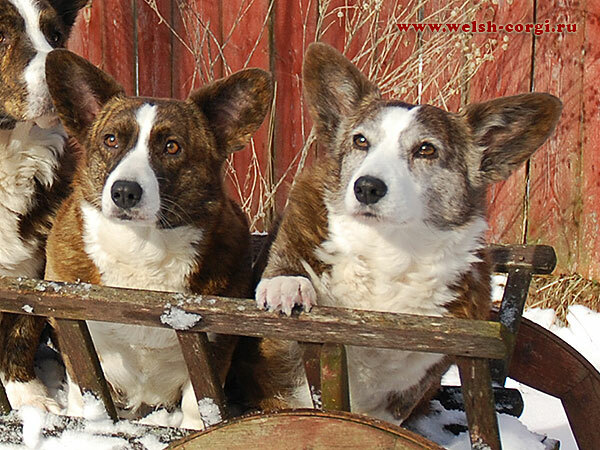 Our lovely boy Platon and girl Pavva, son of our children Zamok Svyatogo Angela FAVORIT and Zamok Svyatogo Angela AVA, is waiting for the new family and have new photo for you! 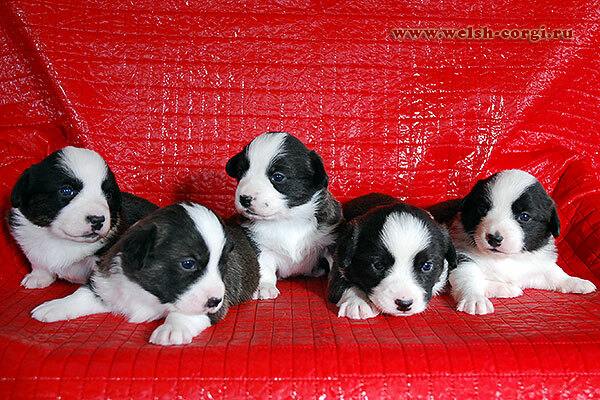 Look for the pedigree and all pictures of them at the page of P Litter. 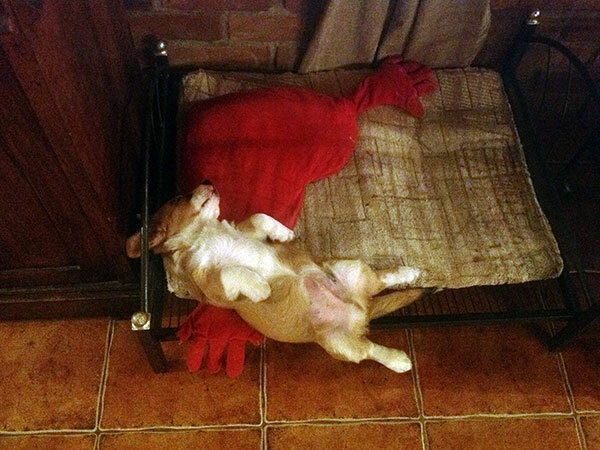 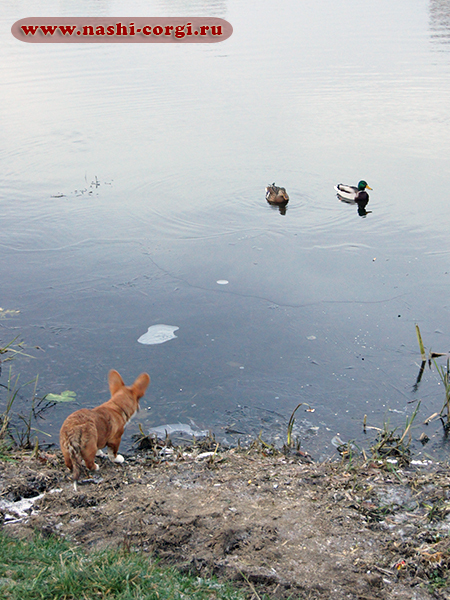 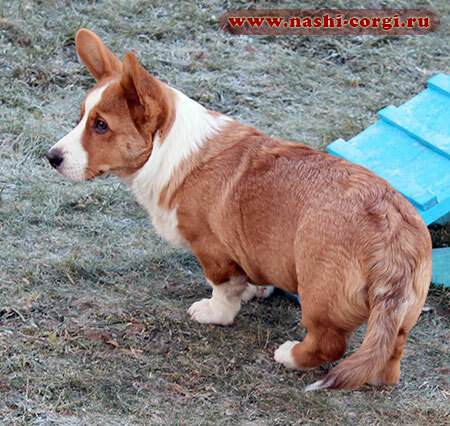 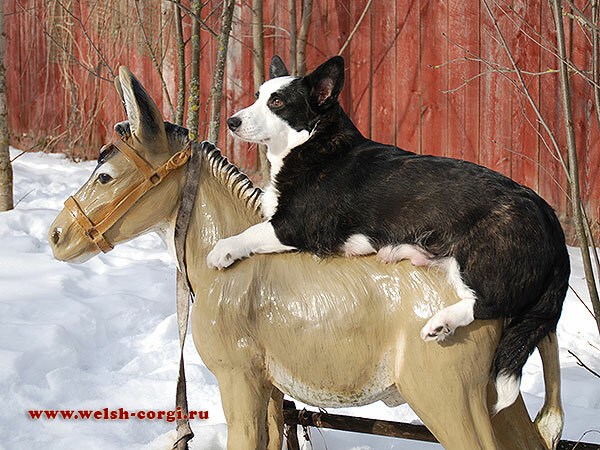 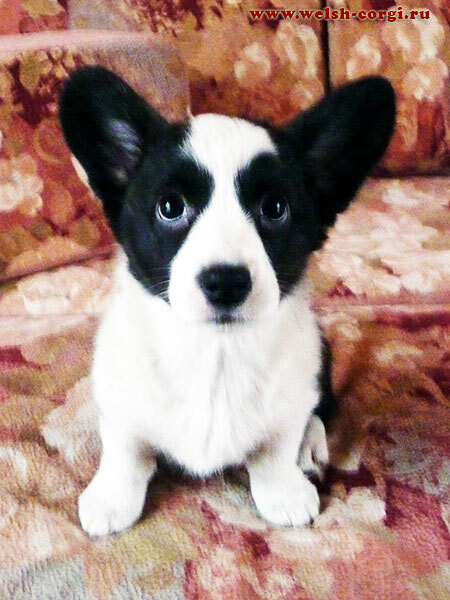 Son of our Klimenty and Hanna Osya (Zamok Svyatogo Angela OSKAR) has his own page on our web-site nashi-corgi.ru! 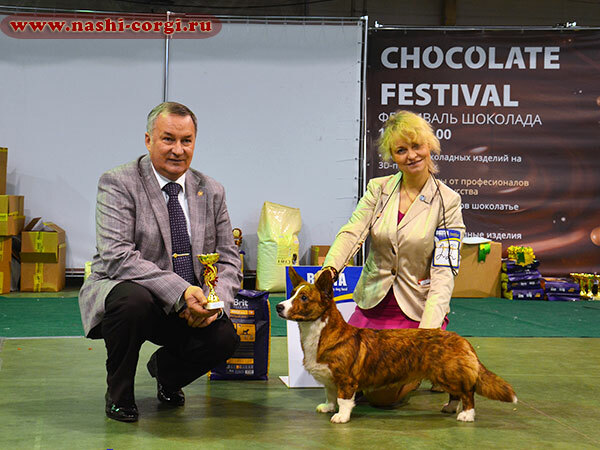 Bdrindle beauty Kora (Zamok Svyatogo Angela ZAVVA CORIN PERL) is Junior Champion of Russia now! 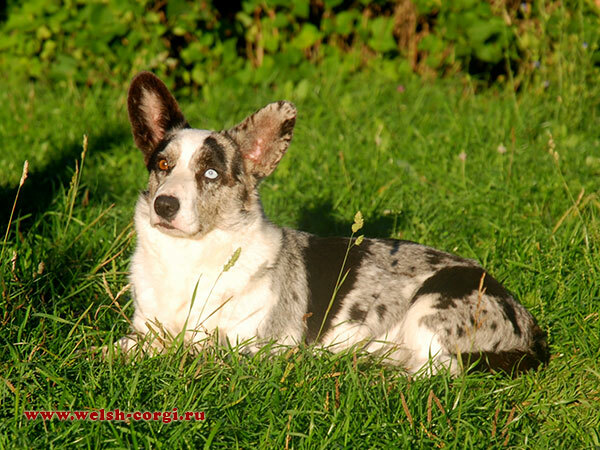 Our congratulations to owners! 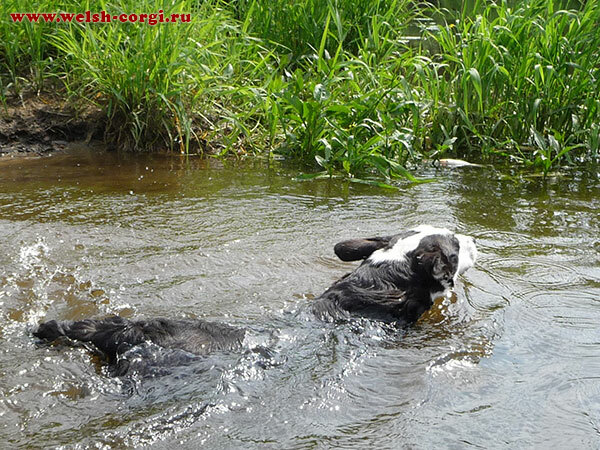 Our lovely AVA (Zamok Svyatogo Angela AVA) has new photos from summer in her photoalbum! 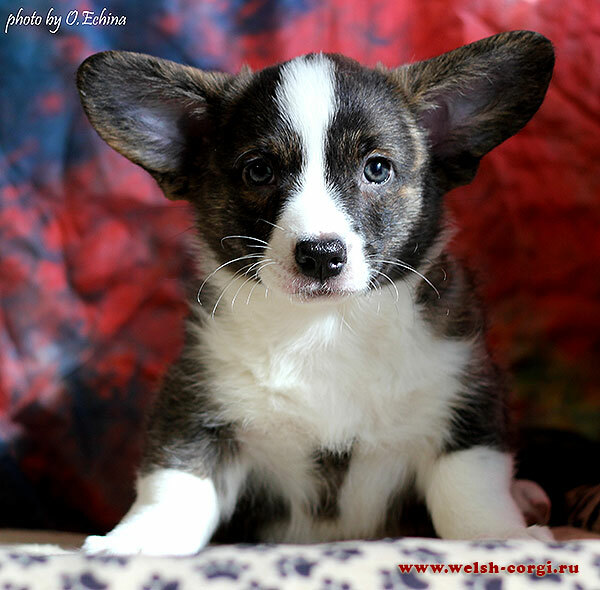 Cute boy Platon, son of our children Zamok Svyatogo Angela FAVORIT and Zamok Svyatogo Angela AVA, is waiting for the new family! 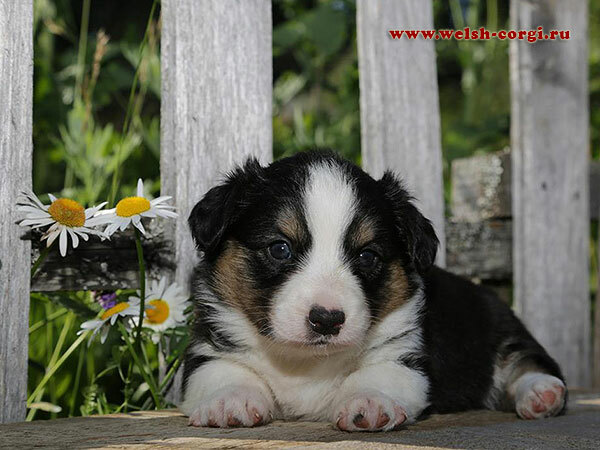 Look for the pedigree and all pictures of the boy at the page of P Litter. 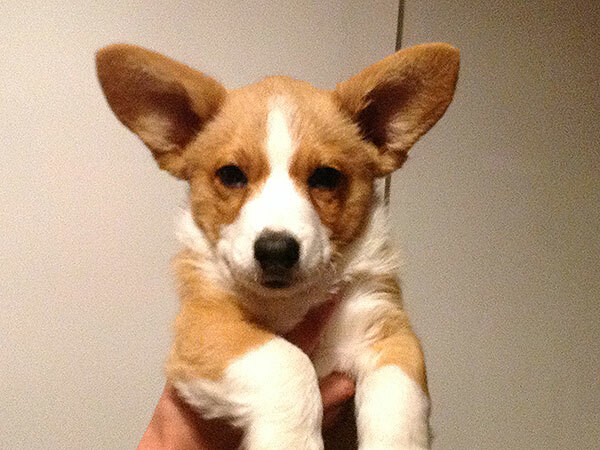 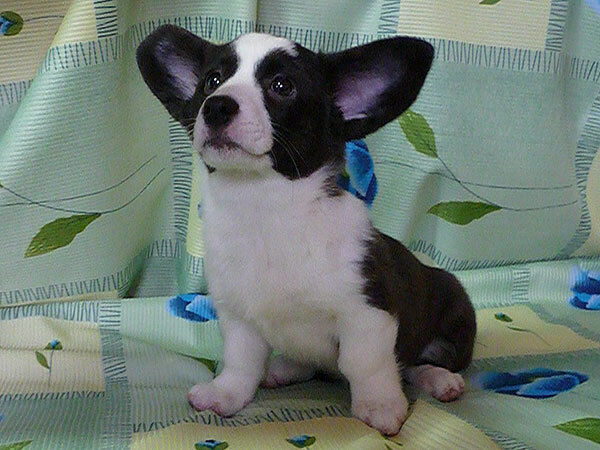 We have the photos of our babies with beautiful ears up! 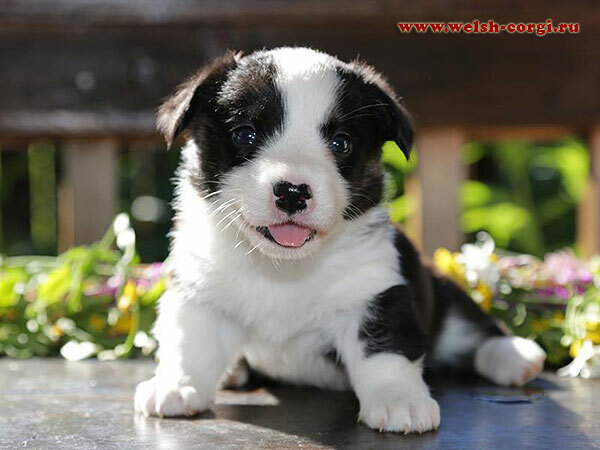 Look for the pedigree and all pictures of the puppies at the page of P Litter. 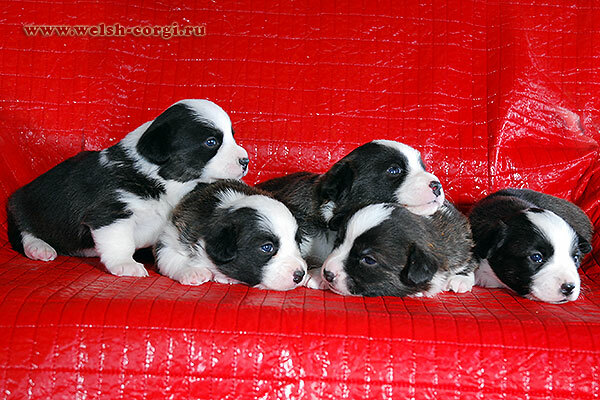 On the 28th of September 6 nice puppies were born! 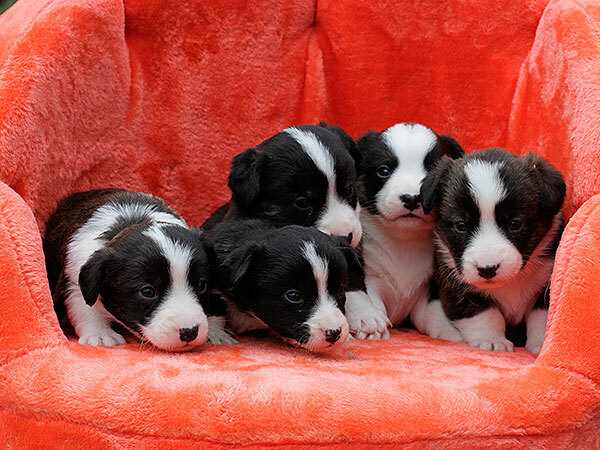 4 boys and 2 girls. 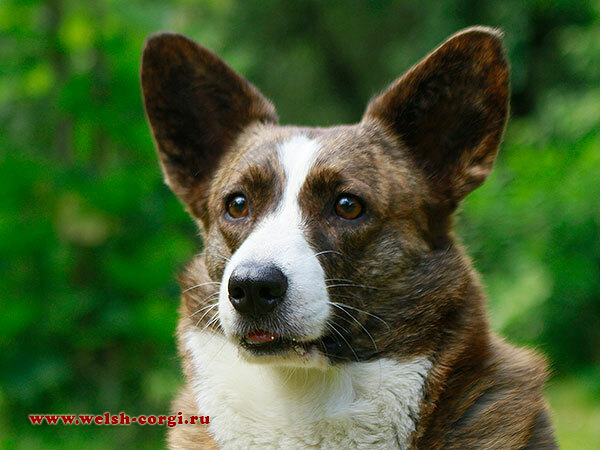 Father of the babies Zamok Svyatogo Angela FAVORIT, mother — Zamok Svyatogo Angela AVA! 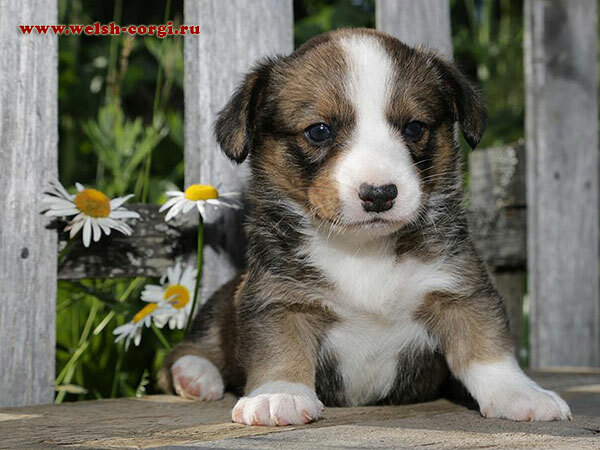 Look for the pedigree and pictures of the babies at the page of P Litter. 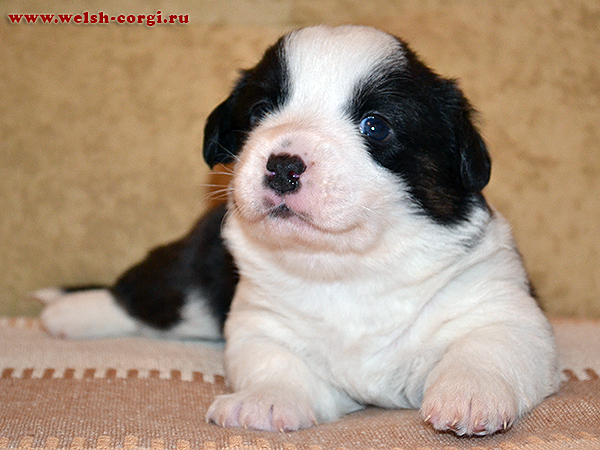 Cute red&white boy Zamok Svyatogo Angela OSTIN is looking for the best home! 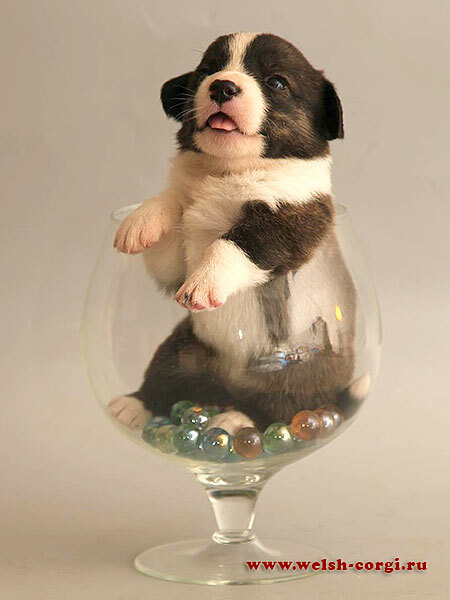 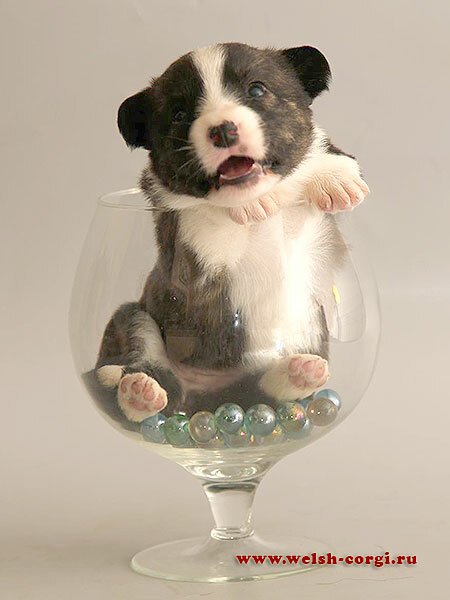 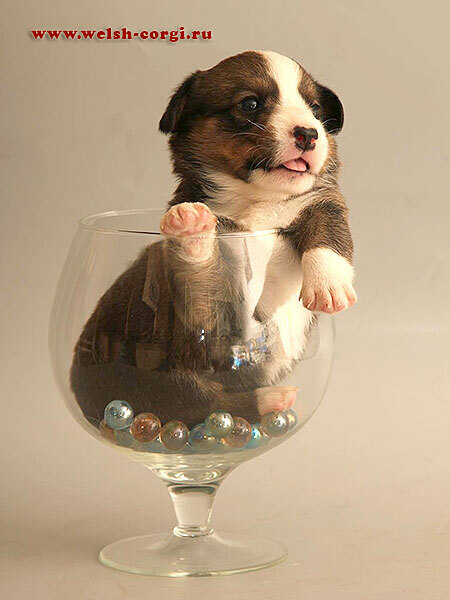 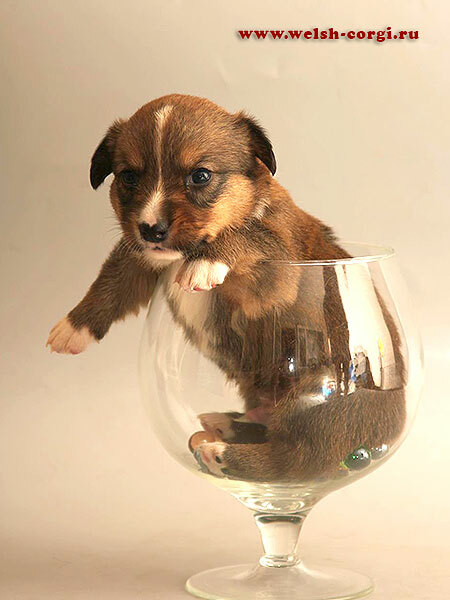 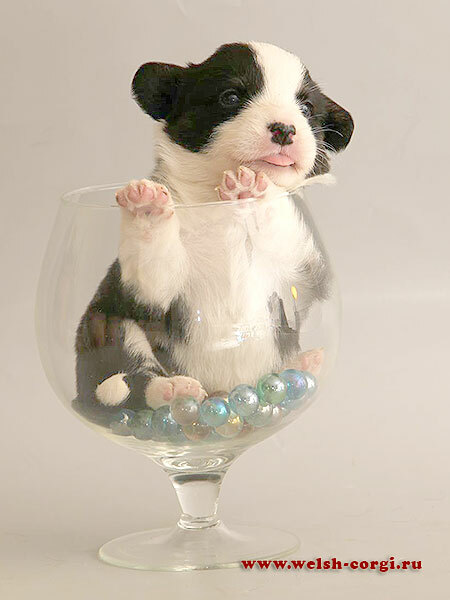 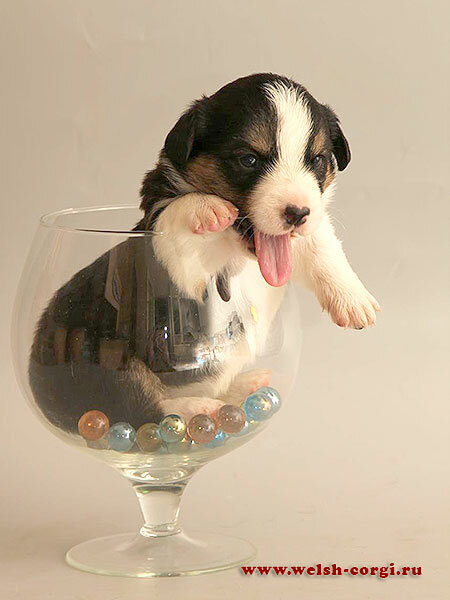 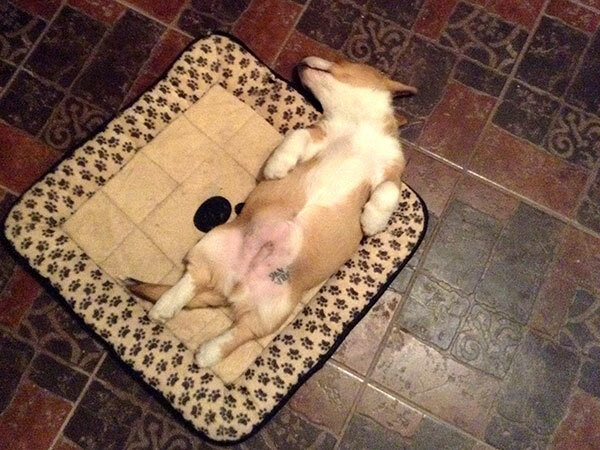 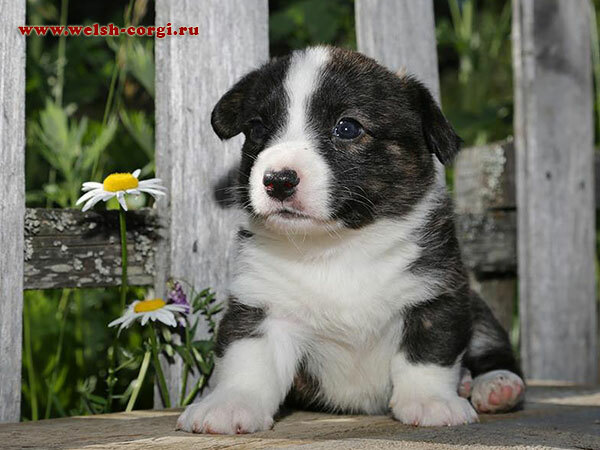 Please, find the pedigree and photos of the puppy at the page of O Litter. 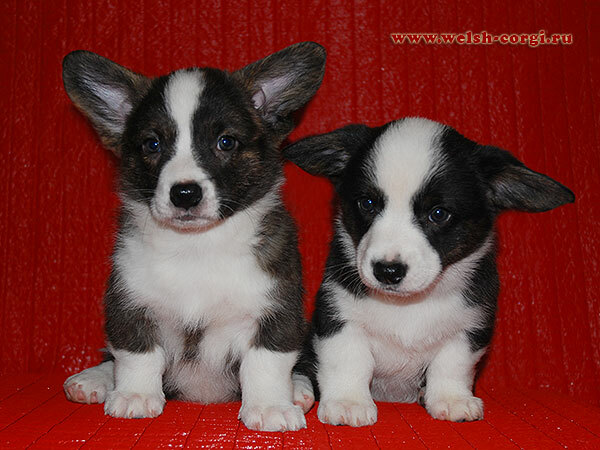 We have the first pictures of our children out of Klim and Hanna! 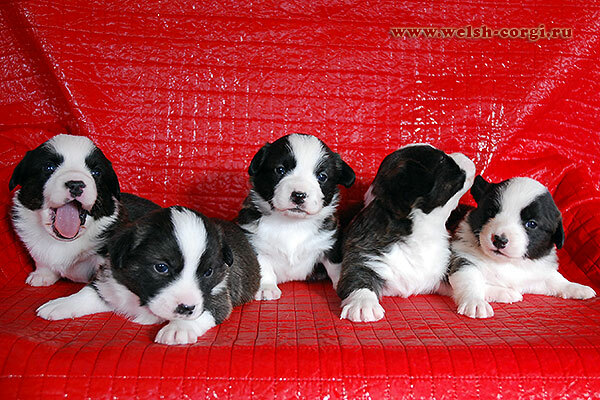 Babies are 40 days now, all of them have their own names and they are thinking of the new owners. 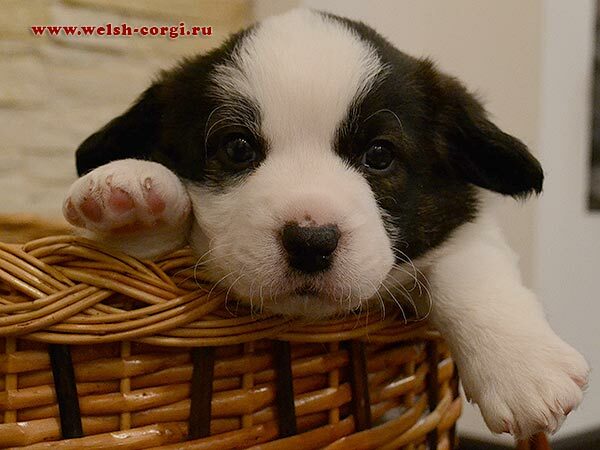 Pedigree and photos of the puppies please find at the page of O Litter. 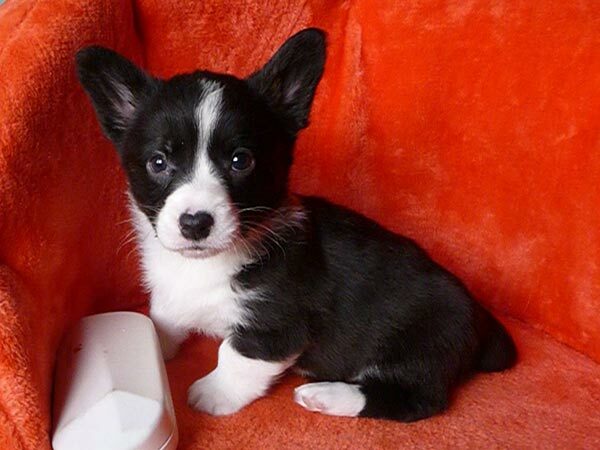 Today is Maha's (FANTASMAGORIA Controversia) 4 years birthday! 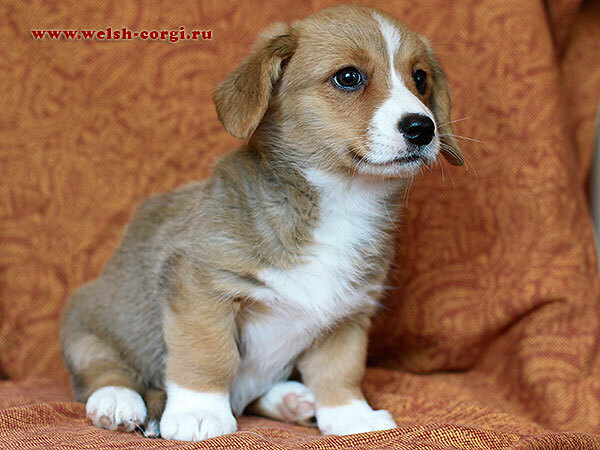 It is good reason for new photos. 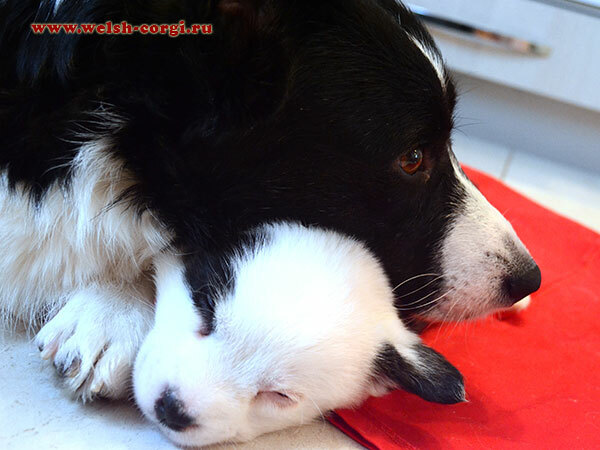 On the 26.07.2014 our Klim (Zamok Svyatogo Angela SIMON) and Hanna (Zamok Svyatogo Angela HANNA BRAVO) gifted us 6 beautiful children: 2 girls and 4 boys! 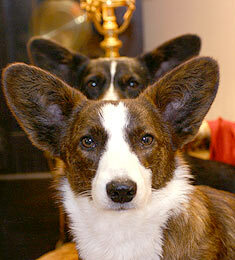 we will show their photos soon. 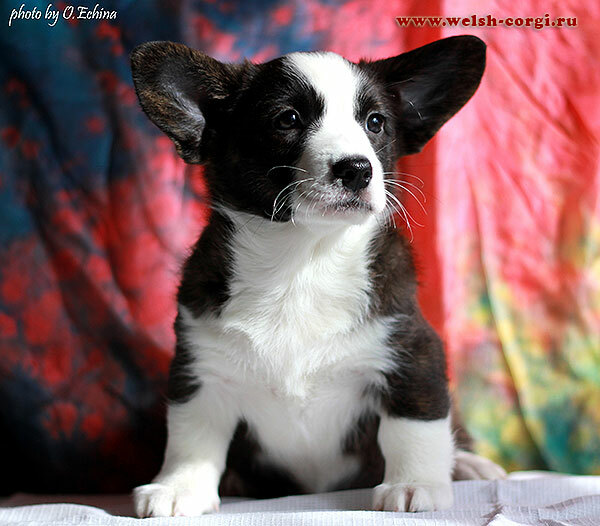 We made new pictures of our puppies! 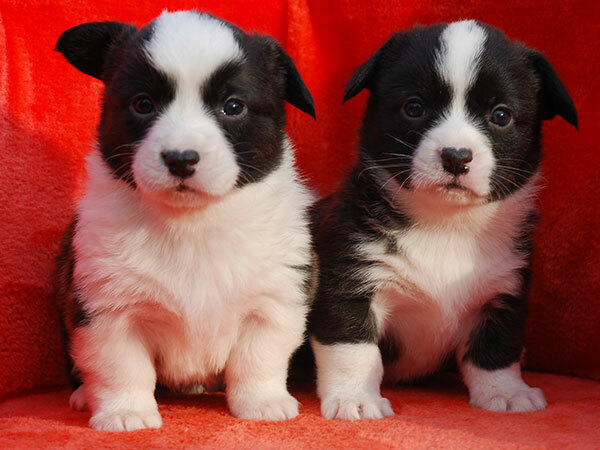 You can see them and the pedigree of the puppies at the page of N Litter. 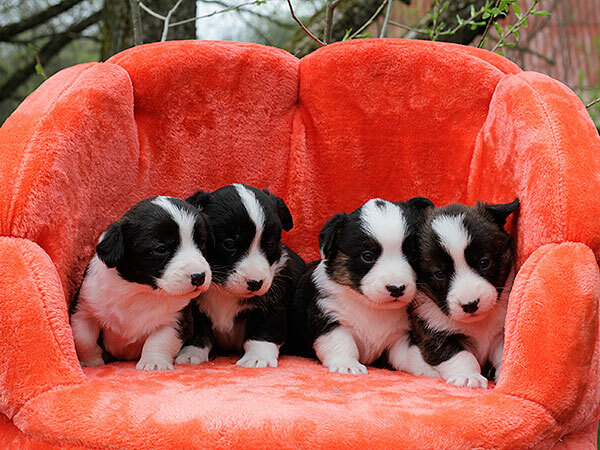 Our puppies are 1 month and we made their new pictures! 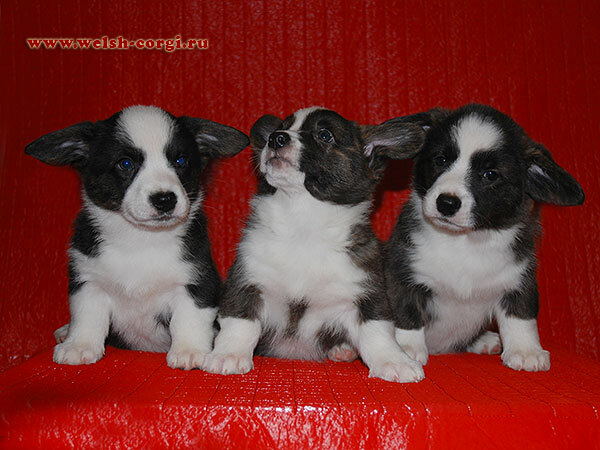 Look for them and for the pedigree of the puppies at the page of N Litter. 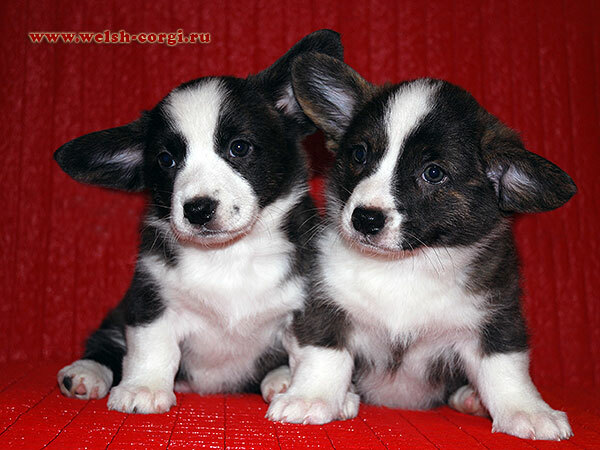 On the 12th of June 7 cute puppies were born out of the pair of Zamok Svyatogo Angela PRIOR and Zamok Svyatogo Angela CHANDRA! 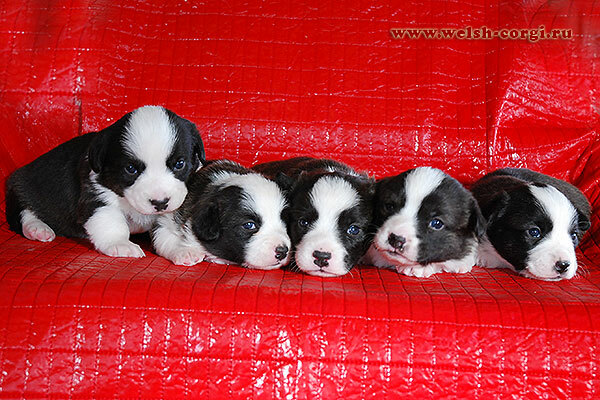 We have 1 boy and 6 girls! 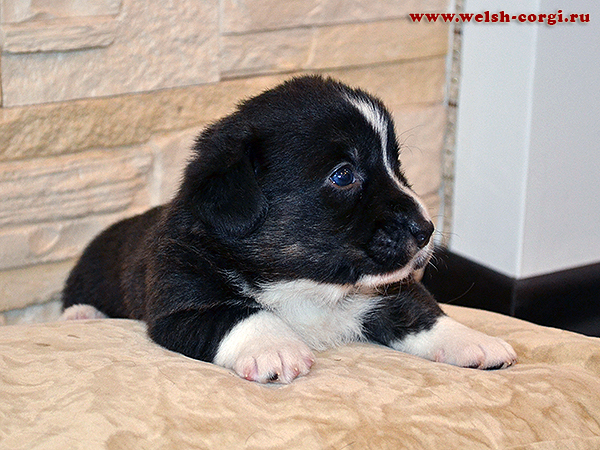 Look for the first photos and the pedigree of the puppies at the page of N Litter. 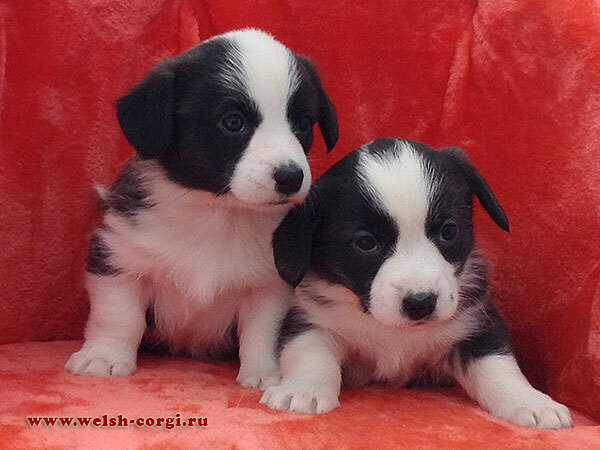 Our puppies (Zamok Svyatogo Angela SIMON x Zamok Svyatogo Angela HAVVA PTITSA) are 2 months and they are looking for the new homes! 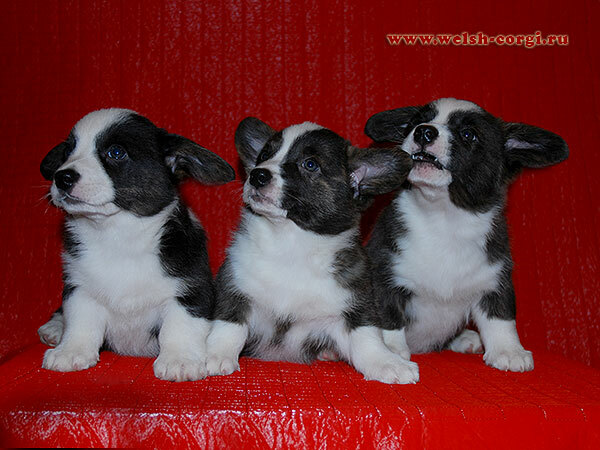 Look for the pedigree and new pictures of our babies on the page of M Litter. 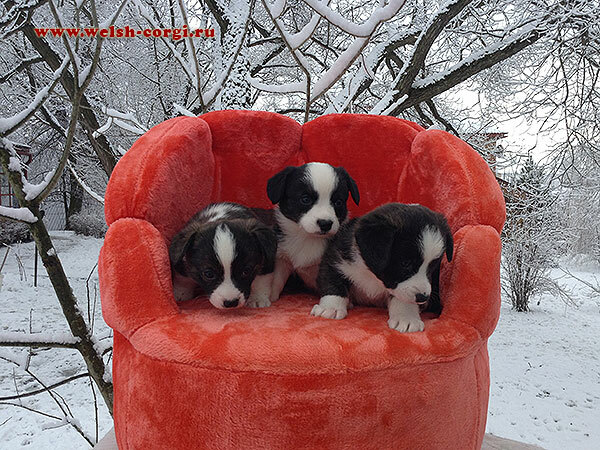 Puppies of our Klim (Zamok Svyatogo Angela SIMON) and Ptitsa (Zamok Svyatogo Angela HAVVA PTITSA) are 36 days now and we made their new pictures! 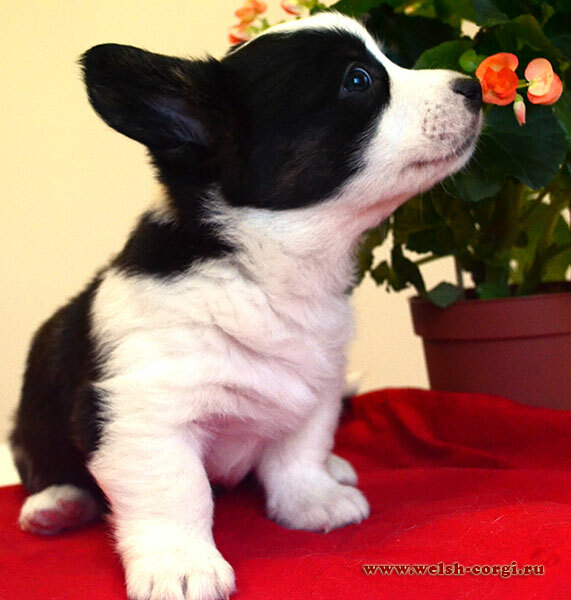 Look for the pedigree and the pictures of our babies on the page of M Litter. 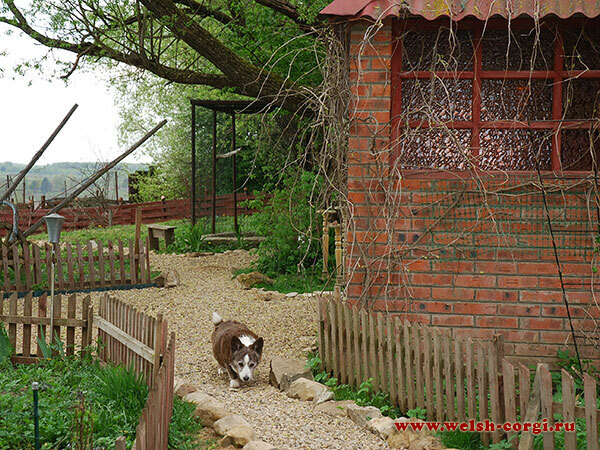 Spring have come and everybody is happy! 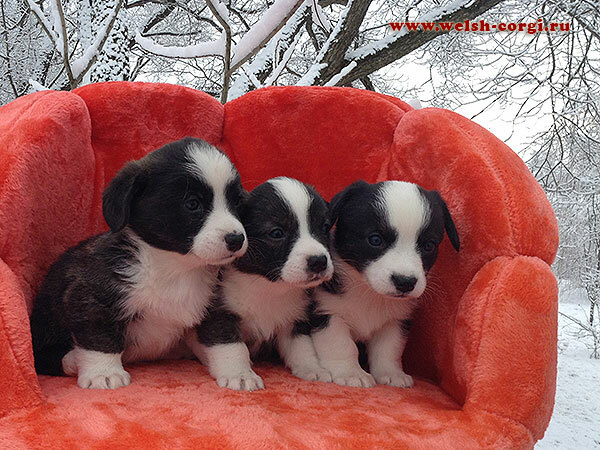 Our puppies, children of our Klim (Zamok Svyatogo Angela SIMON) and Ptitsa (Zamok Svyatogo Angela HAVVA PTITSA) are almost month now and we made their first pictures! 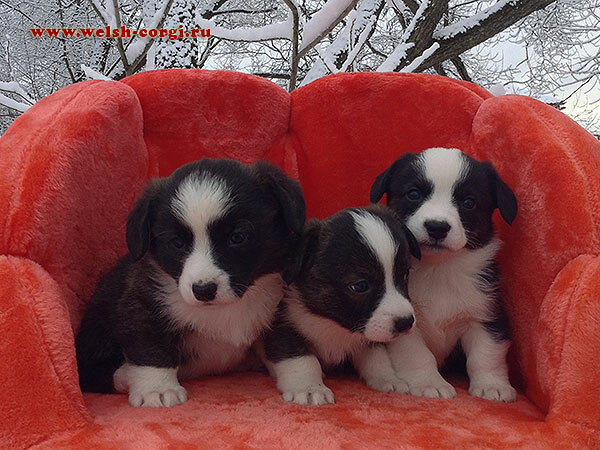 On the 26th of March 7 beautiful puppies (6 girls and 1 boy) were born in the Kennel out of our Klim (Zamok Svyatogo Angela SIMON) and Ptitsa (Zamok Svyatogo Angela HAVVA PTITSA)! 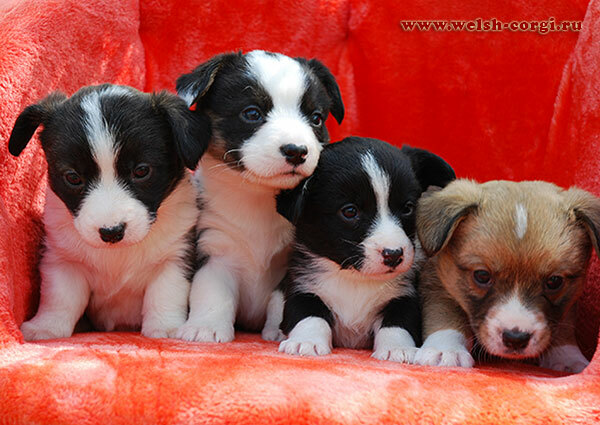 Thanx to Ptitsa and Klim for the puppies of all colors! 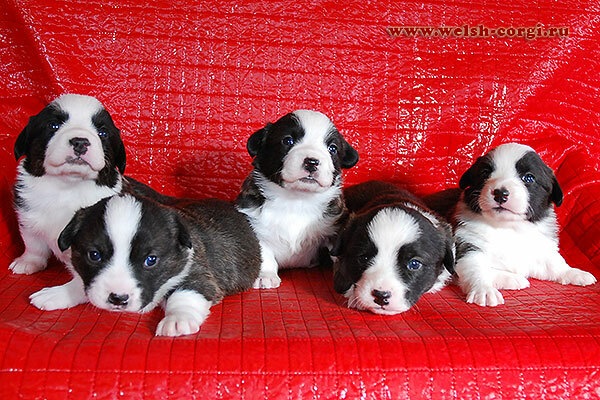 We have tricolor, brindle and red&white puppies! 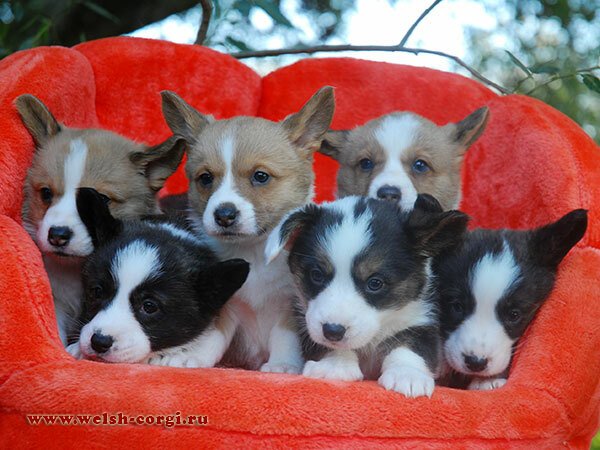 Look for them at the page of L Litter! 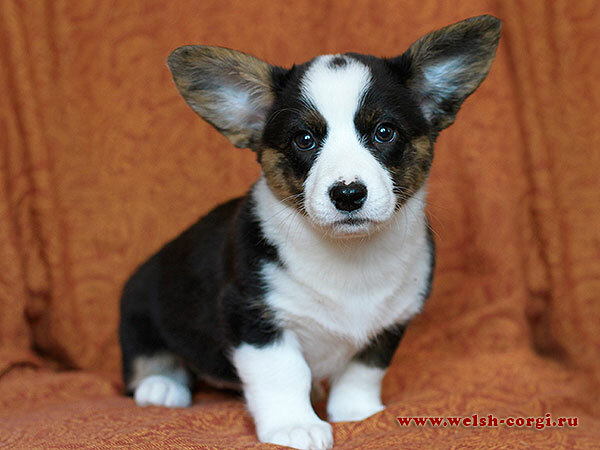 We have new pictures of our cardi-babies! 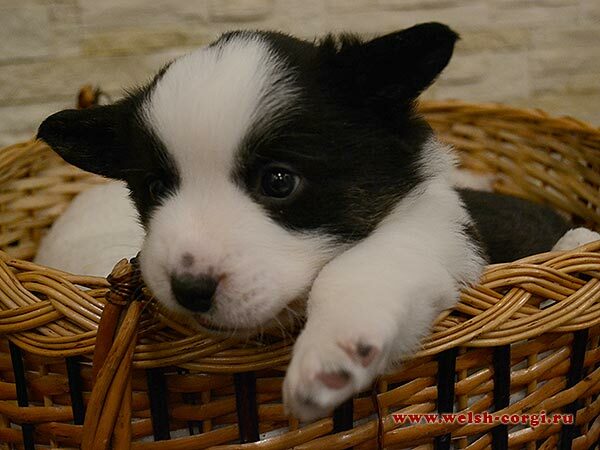 Look for the all pictures of the puppies on the page of L Litter! 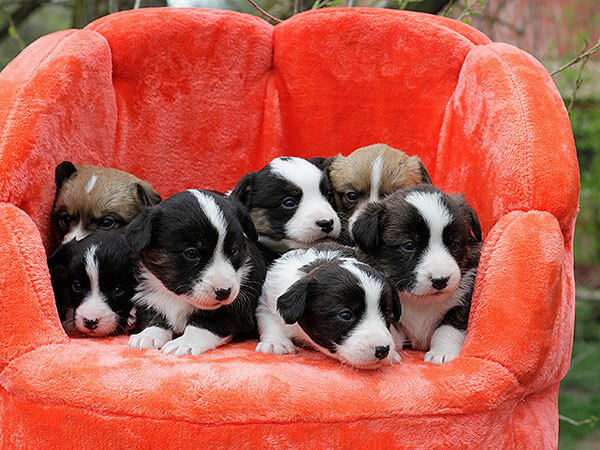 Our puppies are 1 month now and we have their new pictures! 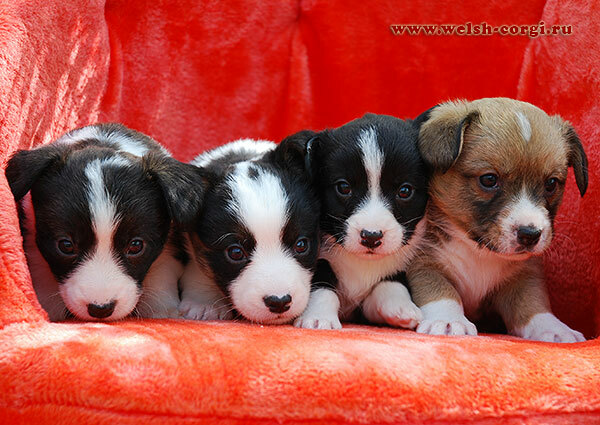 Look for the all pictures of the puppies, their parents and ancestors on the page of L Litter! 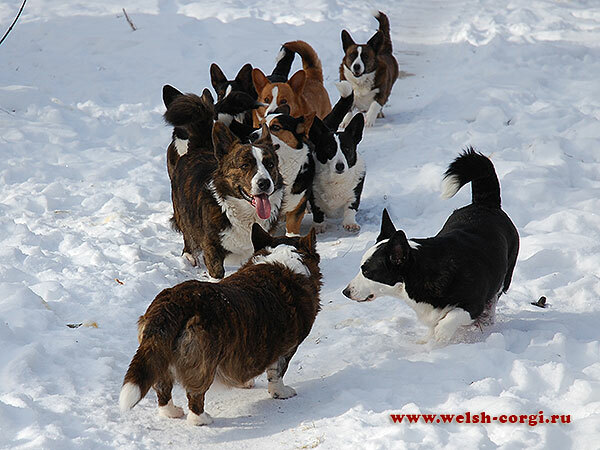 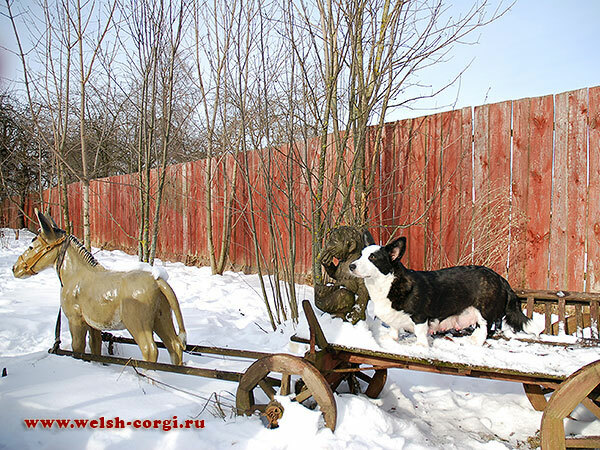 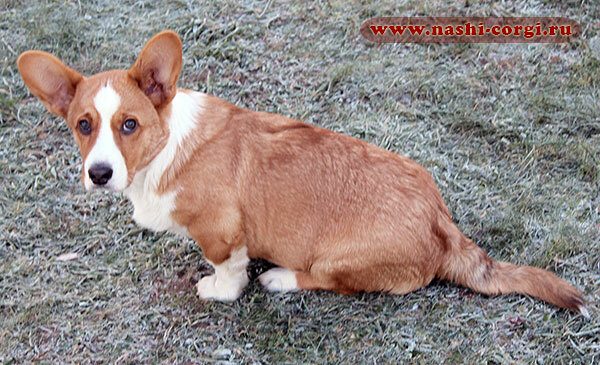 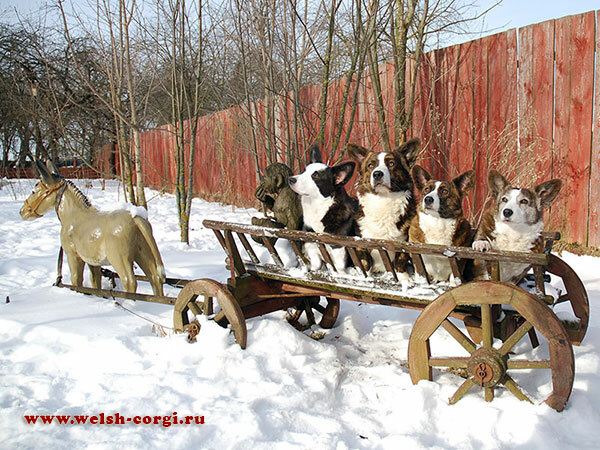 We have new pictures of our welsh corgi cardigans in the snowy winter 2014! 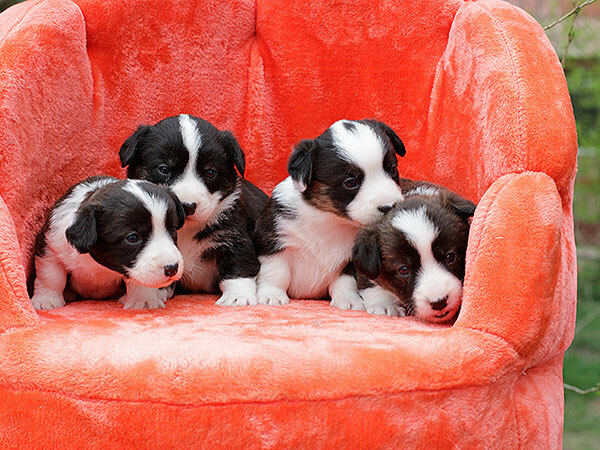 Look for them in our Photoalbum. 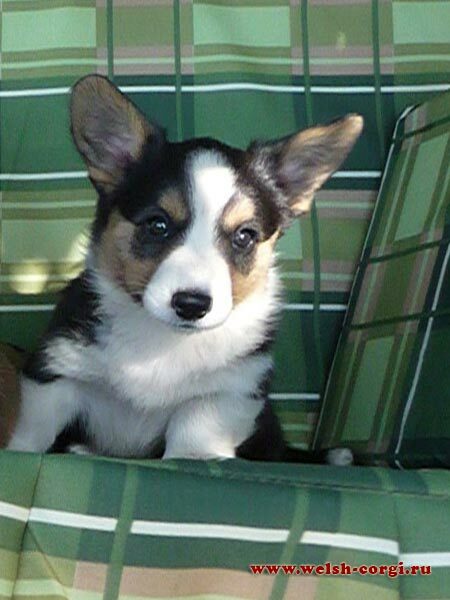 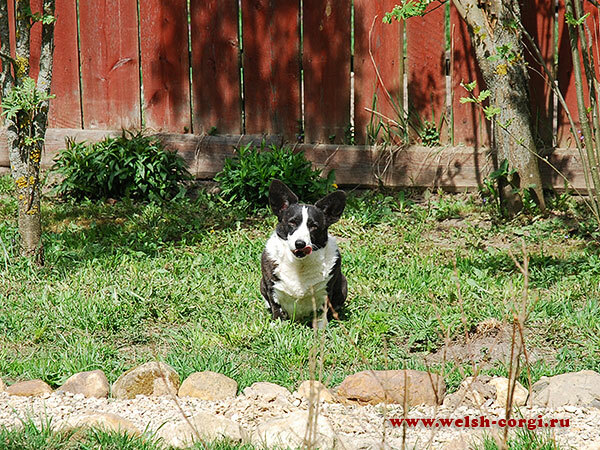 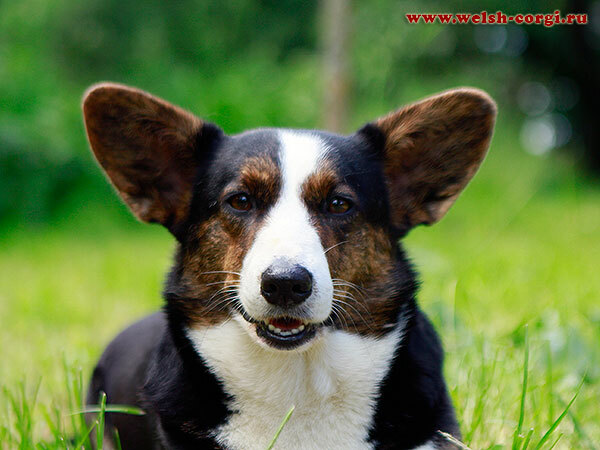 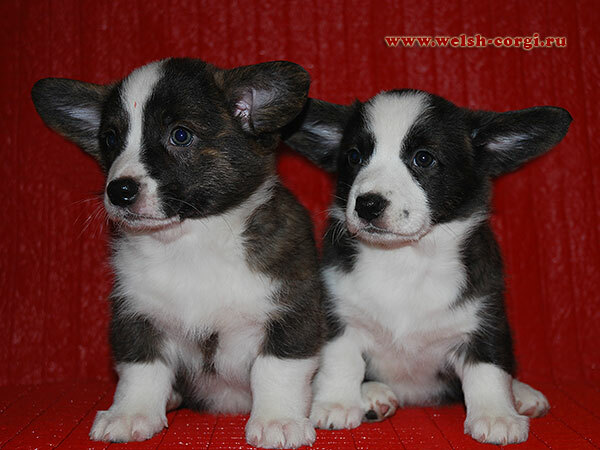 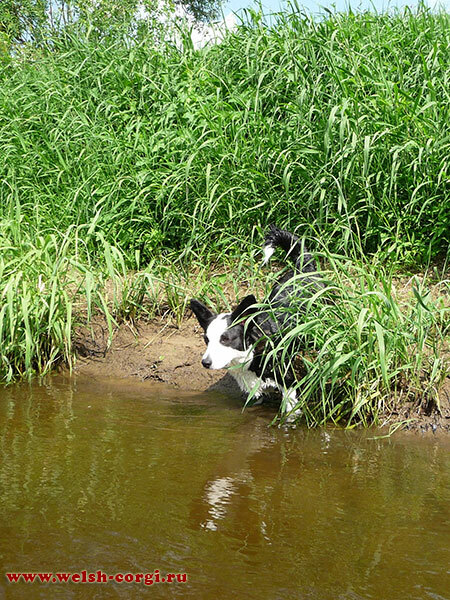 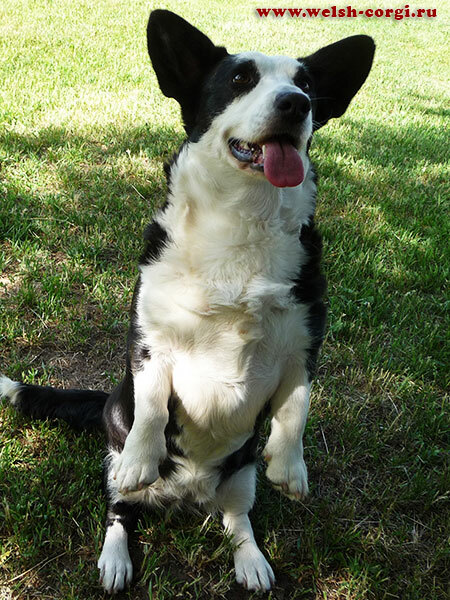 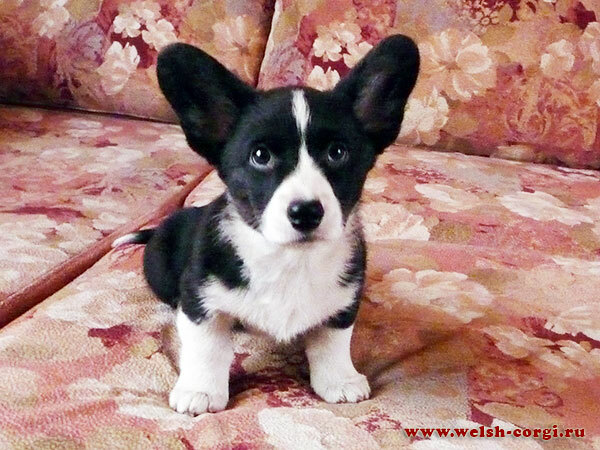 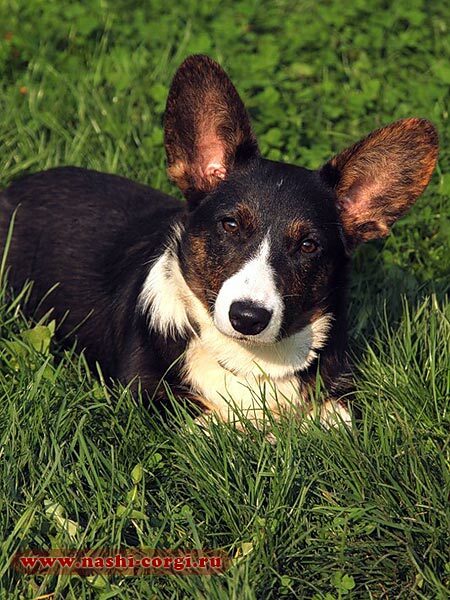 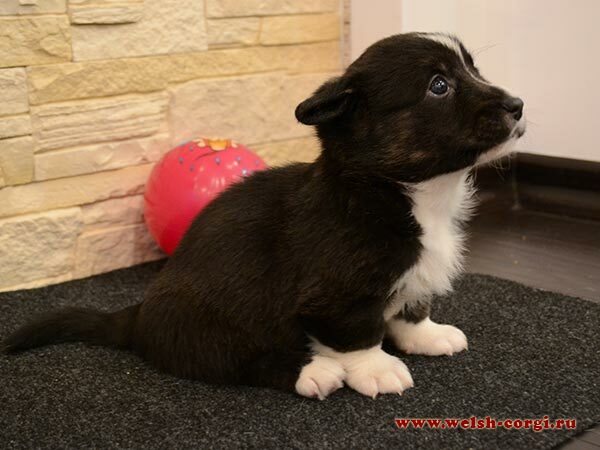 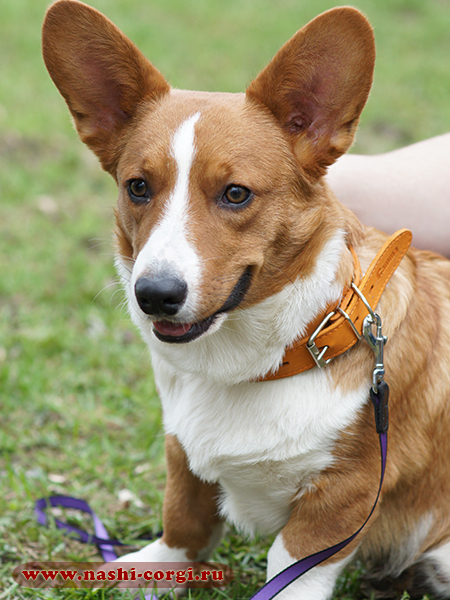 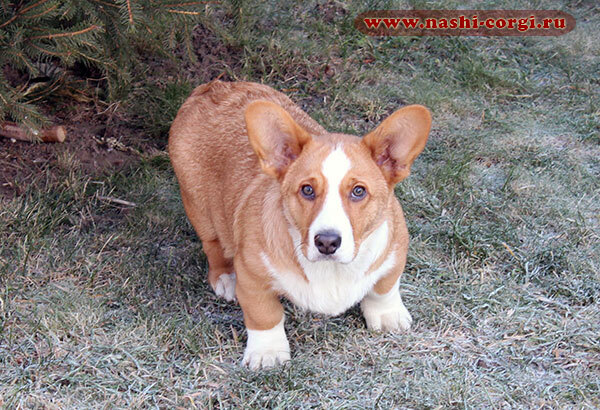 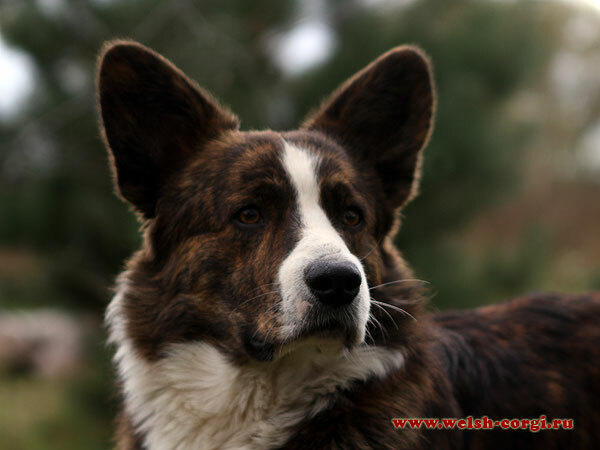 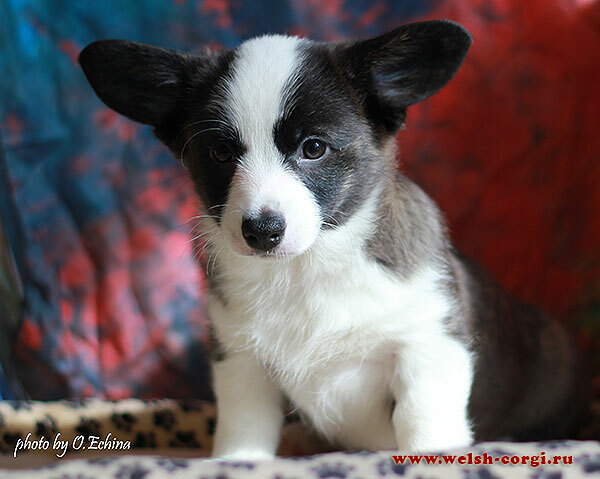 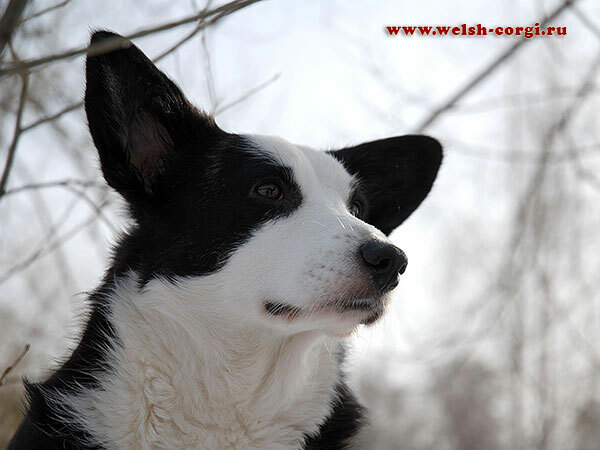 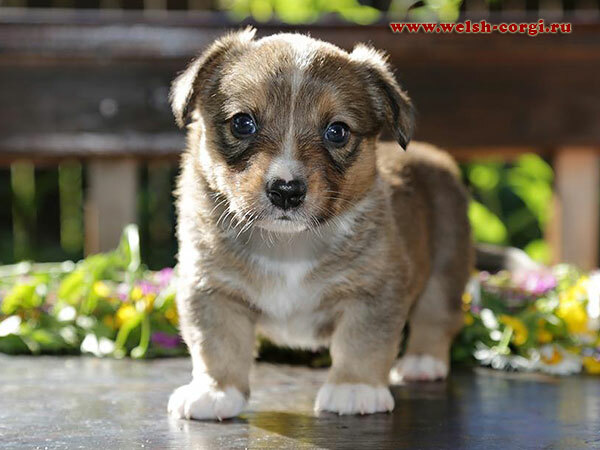 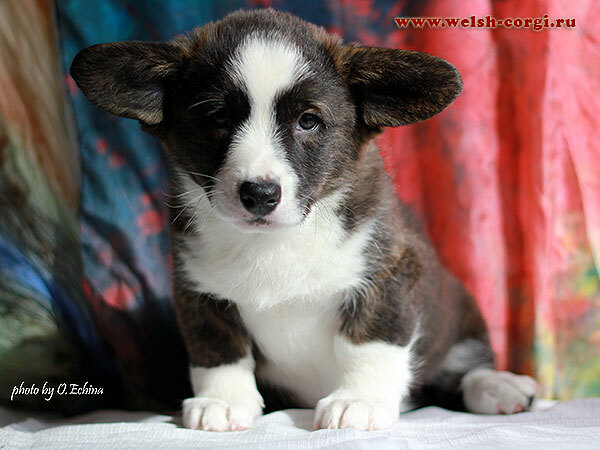 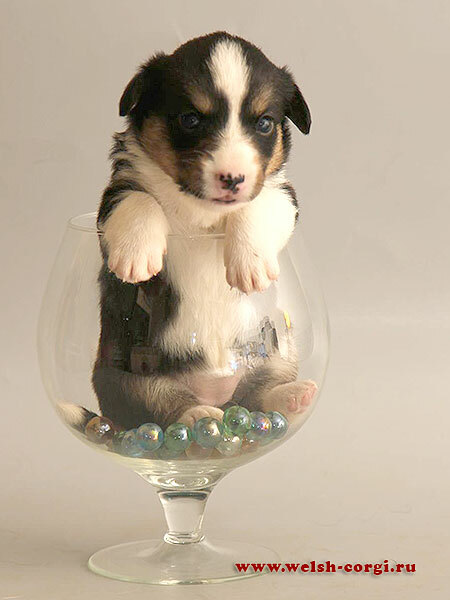 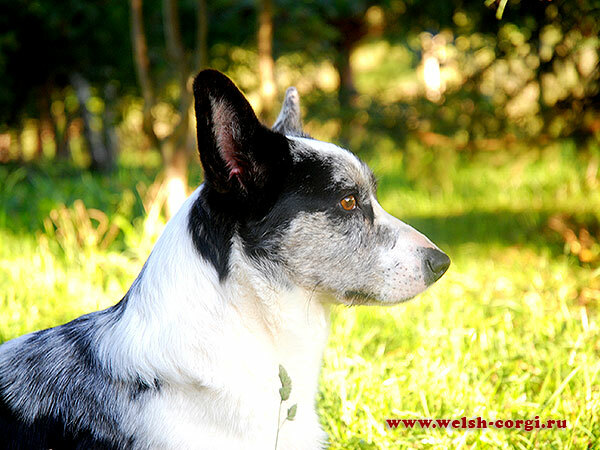 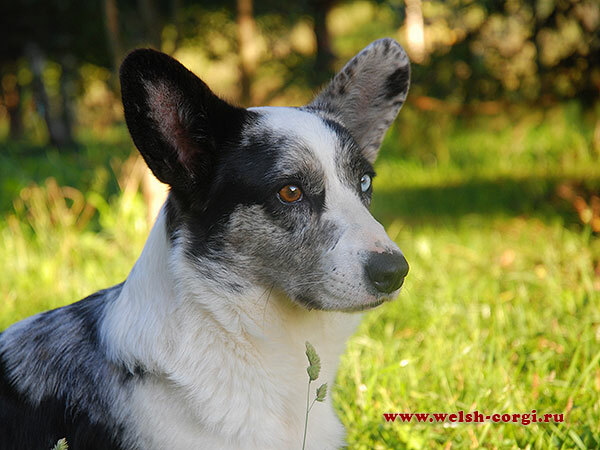 Thare are new pictures on the webpage of our oldest welsh corgi cardigan Avva. 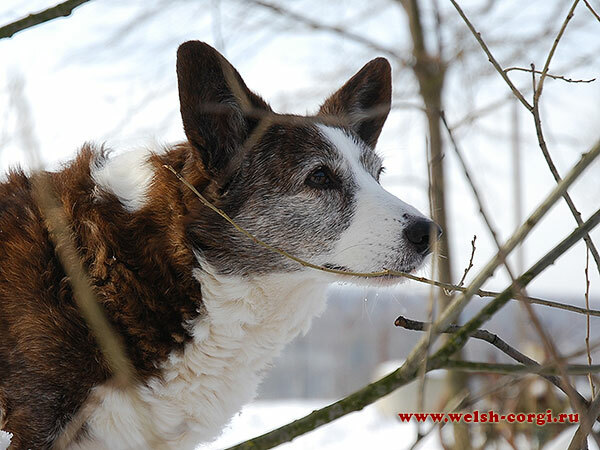 Please find more pictures on Ava's webpage. 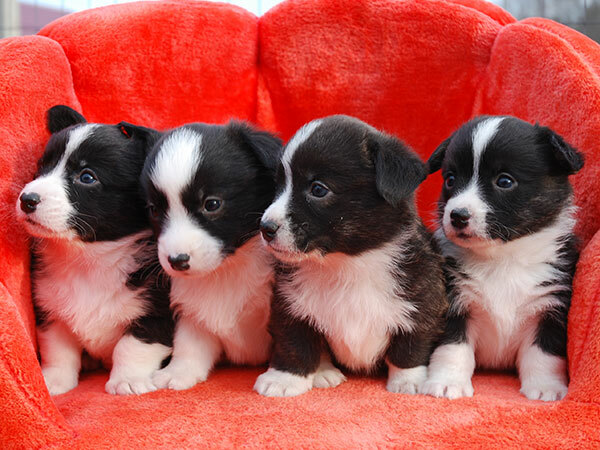 On the 19th of January our «small Ava» (Zamok Svyatogo Angela AVA) gave birth to 5 beautiful puppies (3 boys and 2 girls) out of the our son Benya (Zamok Svyatogo Angela BENIAMIN)! 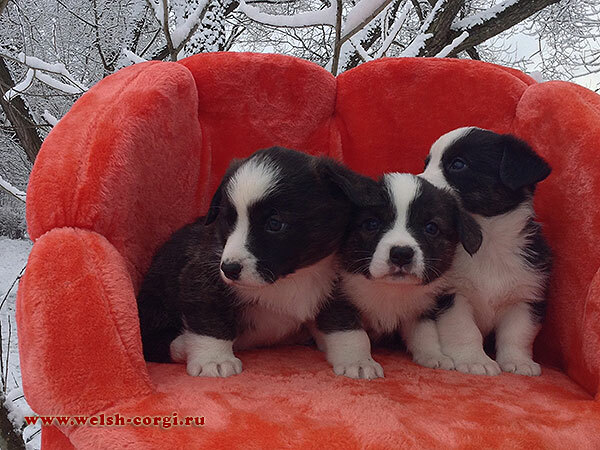 Now we have first photos of the puppies at the age of 21 days! 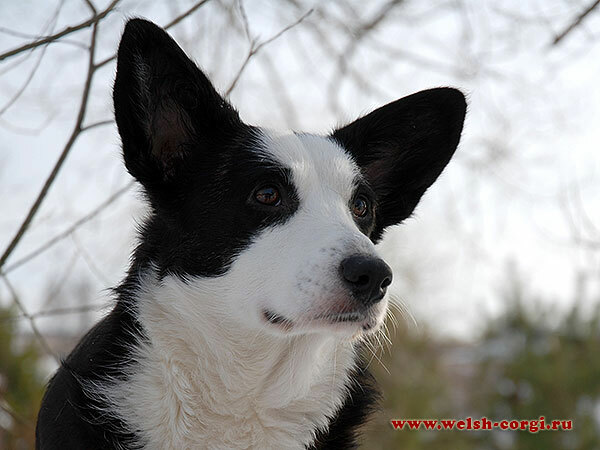 On the same webpage you can find their pedigree and photos of the parents. 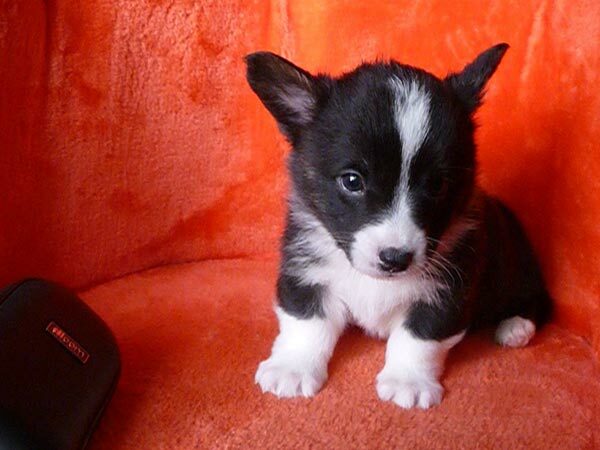 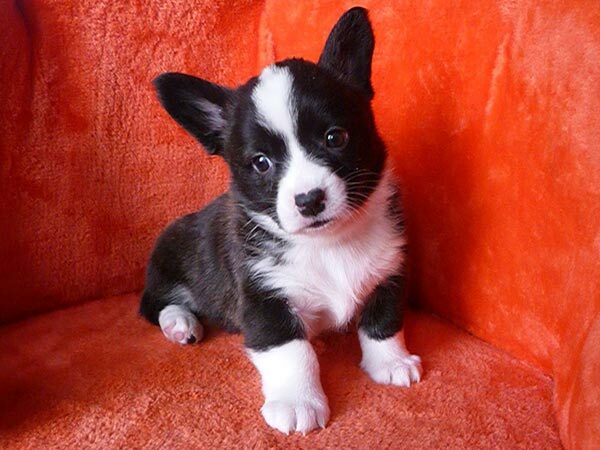 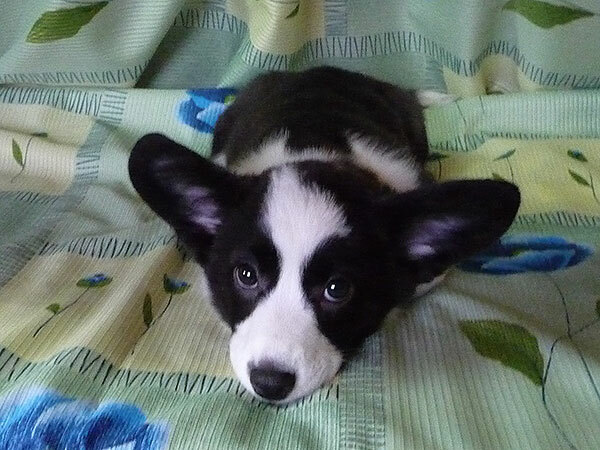 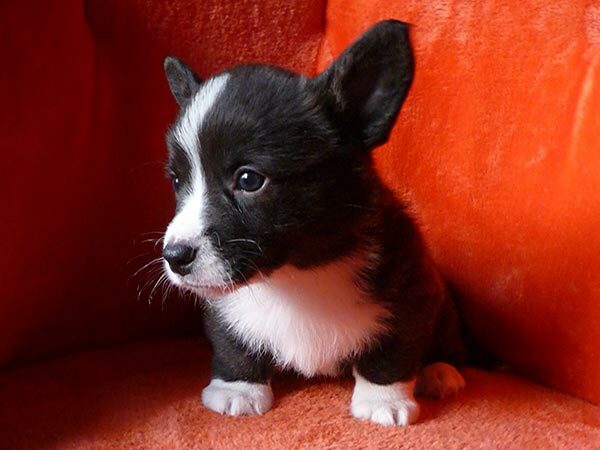 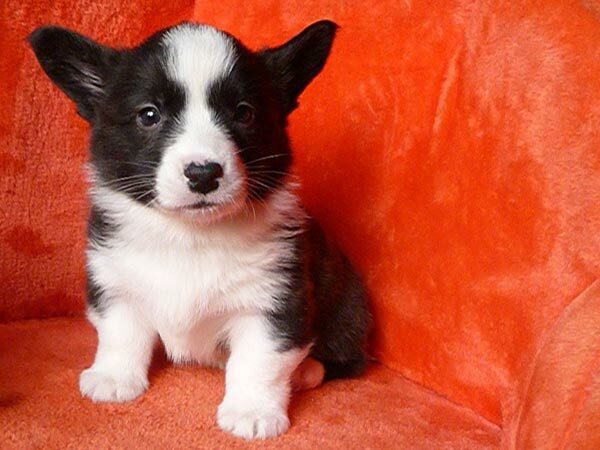 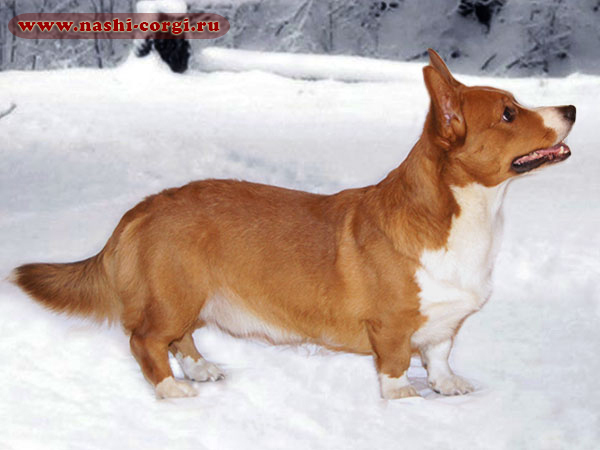 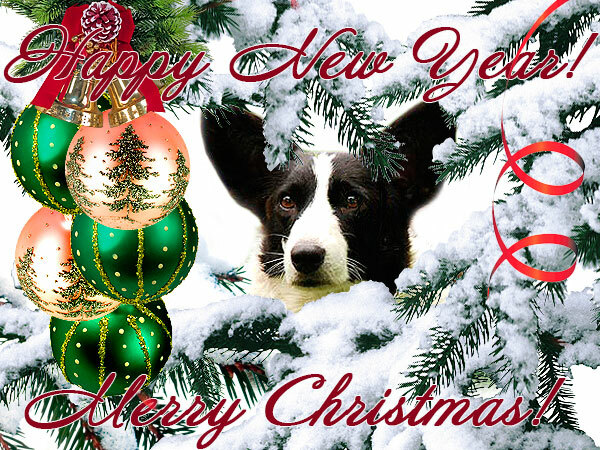 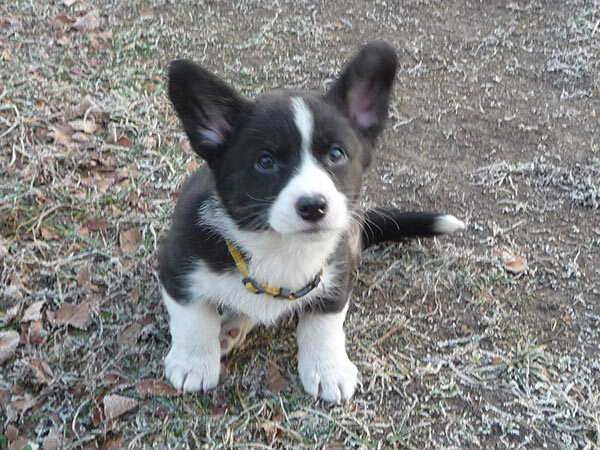 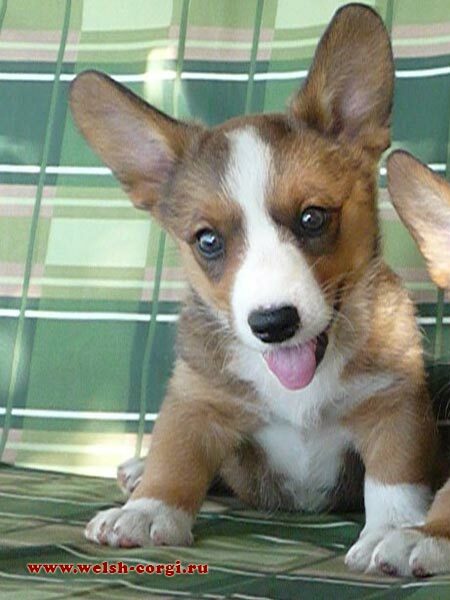 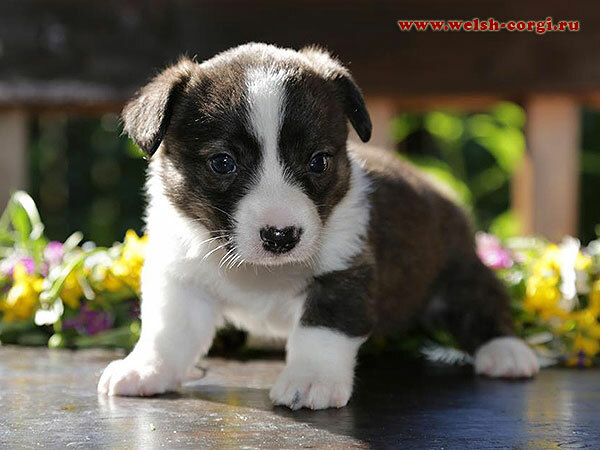 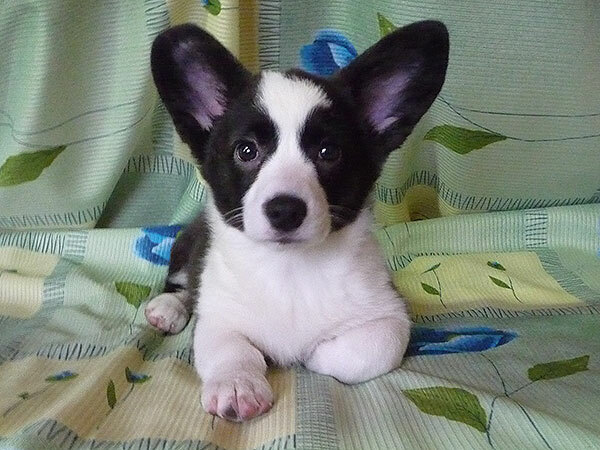 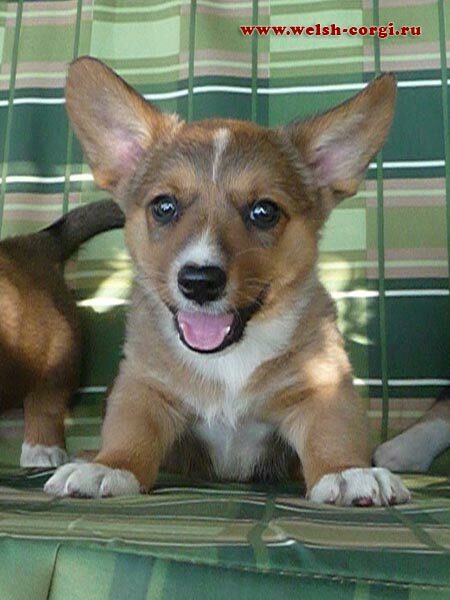 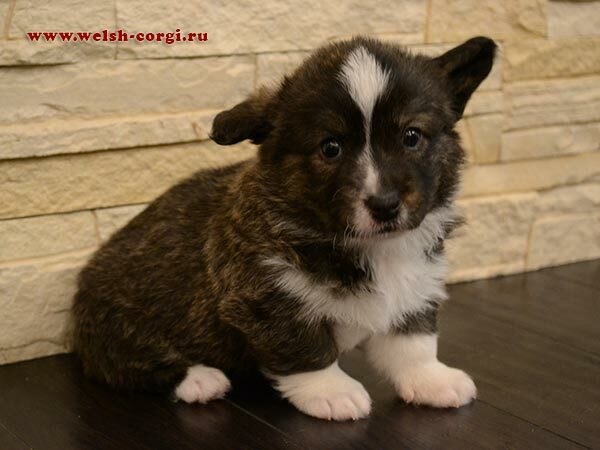 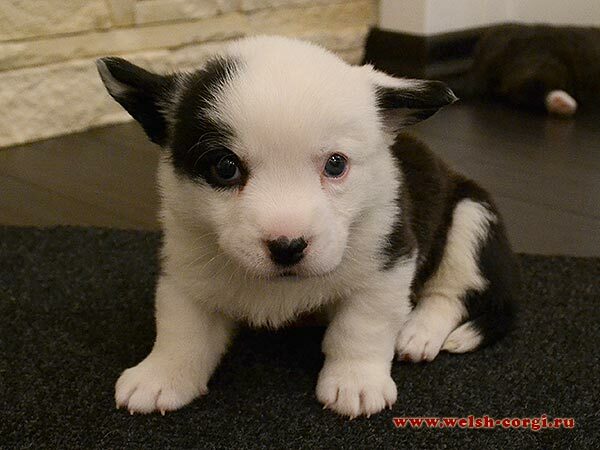 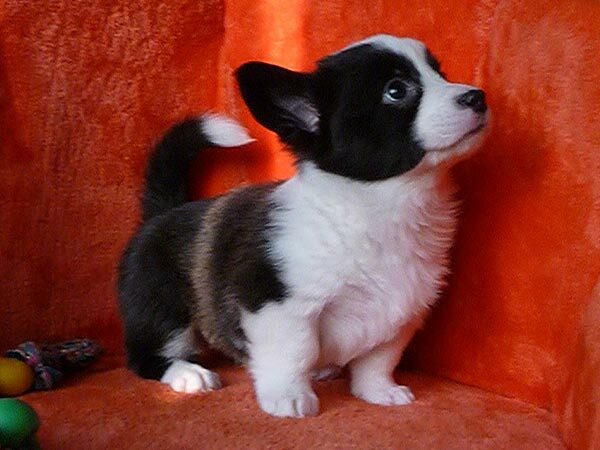 Meet new corgi cardigan boy at the website of our corgi children — http://www.nashi-corgi.ru — red and white cardigan Benya (Zamok Svyatogo Angela BENIAMIN), the son of our Natan and Ada. 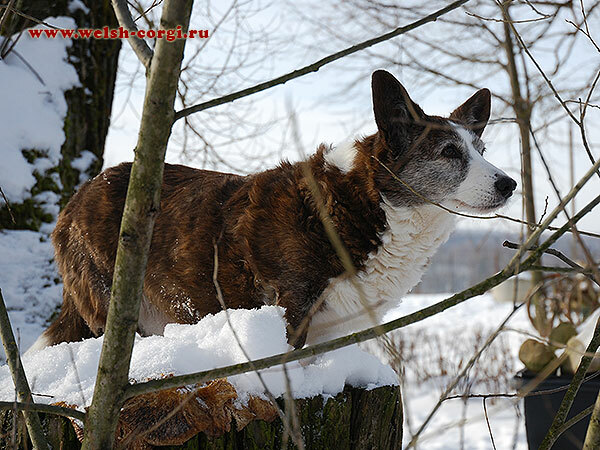 Benya lives with his owners Elena and Andrey in Moscow (Russia)! 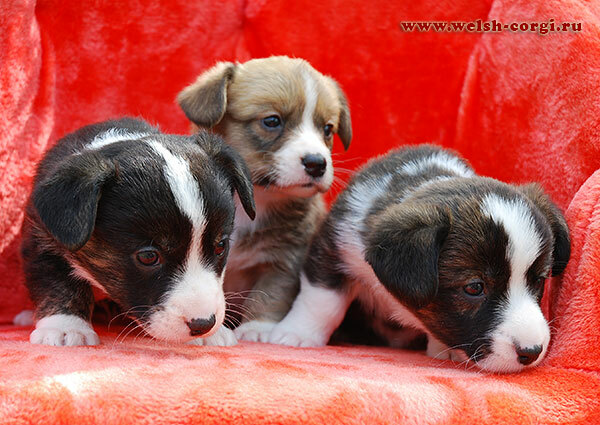 All puppies of Arisha have found their new homes! 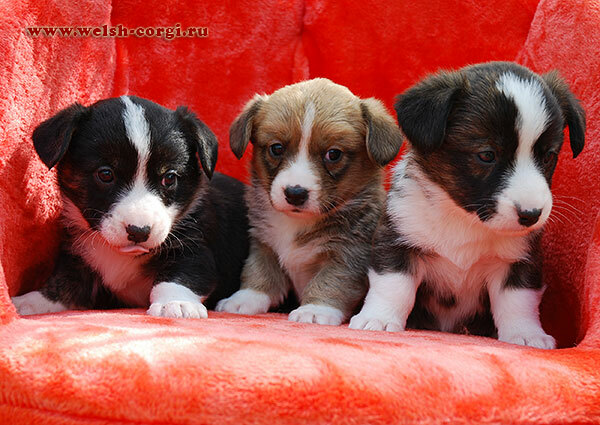 We have new pictures of Arisha's babies! 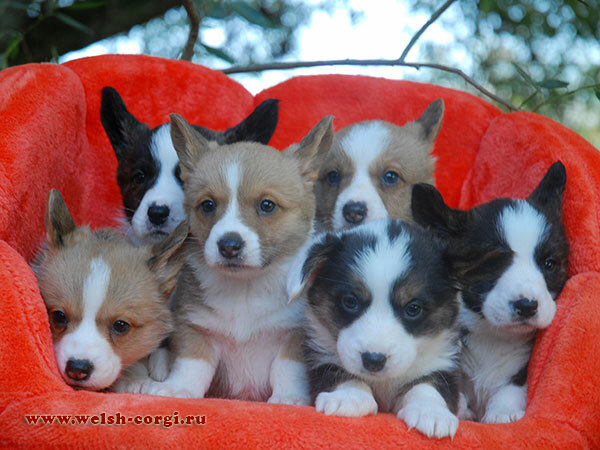 Look for them at the page of the Litter! 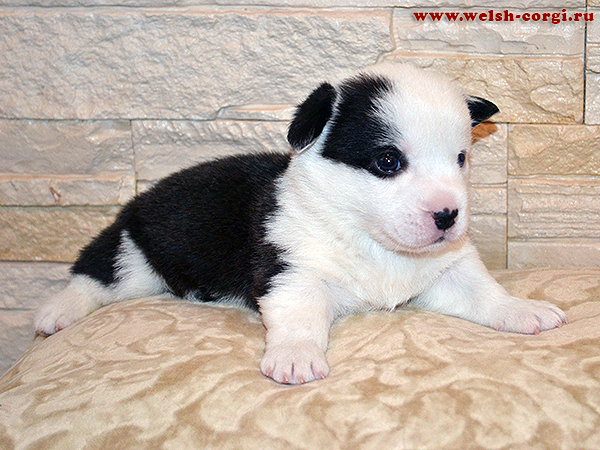 We have the pictures of our puppies at the age of 1 month! 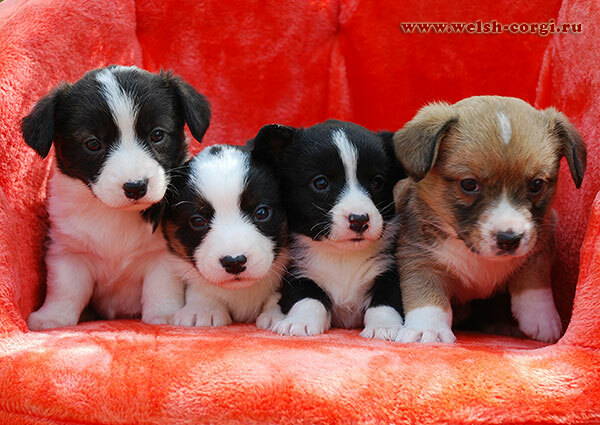 Please, find them at the page of the Litter! 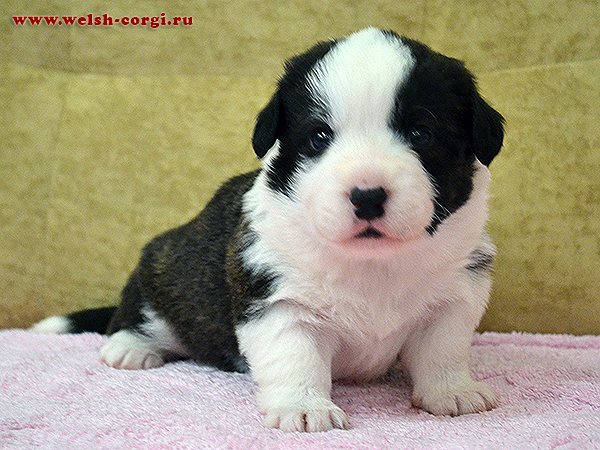 We have the first pictures of the puppies of our Arisha (Zamok Svyatogo Angela ARINA) and the grandson of our Natan and Zhuzha - brindle boy Bryan (Cardigan Park BRYAN)! 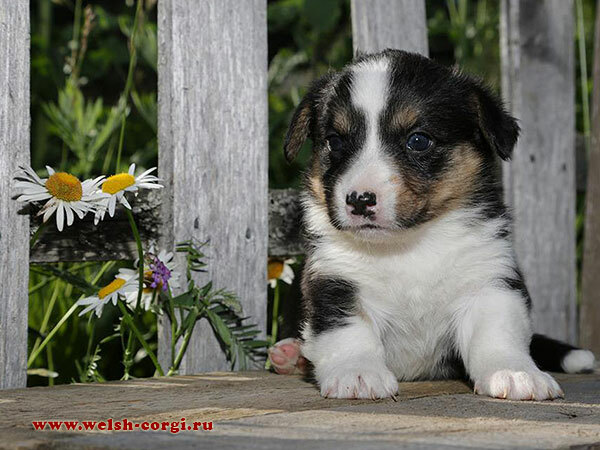 Please, find the picrures and the pedigree of the puppies at the page of the Litter!